Rhea Wolfson has been selected again as Scottish Labour’s candidate for Livingston – with unanimous support from the local labour party. 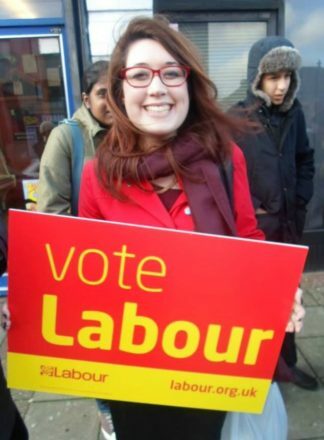 The young Momentum activist and GMB organiser will hope to beat the incumbent SNP candidate at the next general election. When she ran for the seat in June last year, Wolfson won 17,158 votes but lost to the SNP’s Hannah Bardell, who now has a reduced majority of 3,878. Livingston was a Labour constituency from its inception in 1983, when Robin Cook held the seat, until 2015. Wolfson is currently a CLP representative on the national executive committee (NEC), Labour’s ruling body, but is not running again this year. It is understood that she has chosen not to do so as Momentum-backed NEC candidates must vow not to seek parliamentary selection if they want the group’s support. In 2016, Wolfson replaced Ken Livingstone on the Momentum slate for the NEC after he was suspended from the party. However, she experienced difficulties after failing to secure the nomination of her home CLP, as required by the rulebook, and Wolfson said this was orchestrated by former Scottish Labour leader Jim Murphy. Ultimately, as reported by LabourList at the time, she changed her party membership from Eastwood to Almond Valley CLP and got onto the ballot paper. Wolfson will be standing for Labour’s National Policy Forum (NPF) and has been endorsed by left-wing group Campaign for Socialism, which has merged with Momentum. Earlier this month, the parliamentary candidate received both praise and online abuse after writing a piece for the Jewish Chronicle defending Jeremy Corbyn against claims of antisemitism.